Home Fun Zombie Pie Chart in Excel – What would you do? 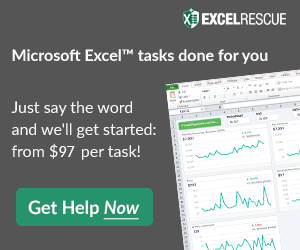 Zombie Pie Chart in Excel – What would you do? The Walking Dead has been an amazing hit as a new show and is now finishing up its second season. Unfortunately, I am out of the country, so I will have to wait to see the final episodes of this season. I can’t wait!! 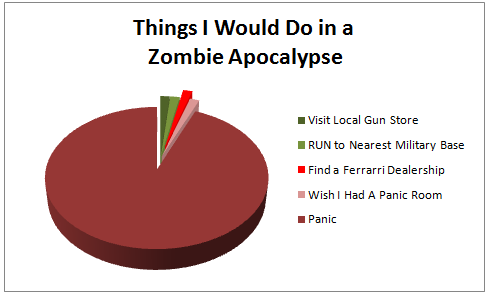 “Things I Would Do in a Zombie Apocalypse” Excel Chart for your amusement and use. 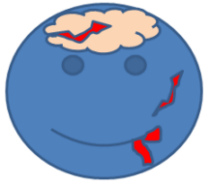 It was made in Excel 2003 and is a 3-D Pie Chart with Exploded Pie Slices and a Dynamic Title linked to a cell in the worksheet. What would you do? Let me know your Top 5 in the Comments section below. Also, consider subscribing to my newsletter so that you get the next post delivered directly to your inbox.